(Bloomberg) -- Daimler's second-quarter operating profit jumped 54 percent, as Mercedes-Benz outpaced rival luxury-car brands in China and new models boosted sales. 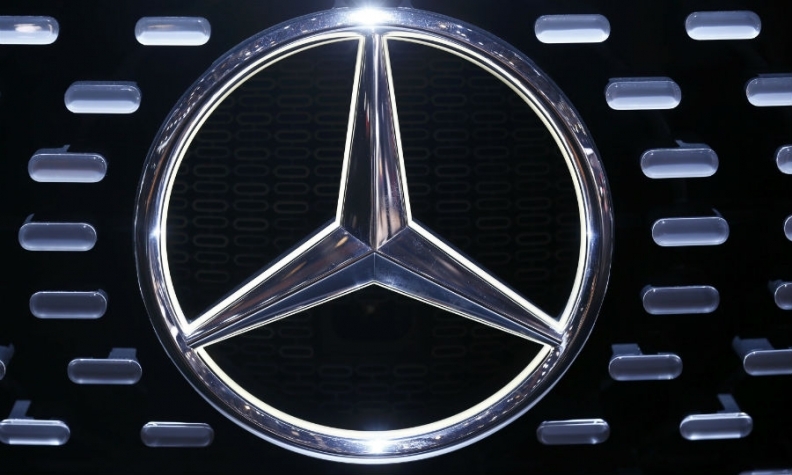 Earnings before interest and taxes from ongoing business rose to 3.78 billion euros ($4.13 billion) from 2.46 billion euros a year earlier, Daimler said today in a statement. Profit from carmaking amounted to a 10.5 percent of revenue, beating a long-standing margin goal of 10 percent. Sales jumped 19 percent to 37.5 billion euros. Daimler reiterated forecasts that revenue and earnings from ongoing business will rise significantly this year. CEO Dieter Zetsche, who in 2012 dropped a deadline for the 10 percent carmaking margin, told journalists today on a conference call that the auto unit can sustain profitability at that level, with the outlook for the second half "strong" as new models come out. The earnings were the highest for any three-month period in Daimler's history. The company's carmaking unit is likely to maintain profitability at 10 percent of sales for the time being, said Arndt Ellinghorst, a London-based analyst at Evercore ISI. "They have strong momentum from new products as well as positive currency effects," he said. "The margin could rise as high as 12 percent." Juergen Pieper, a Frankfurt-based analyst with Bankhaus Metzler, said Mercedes will be boosted by the launch of the new E class, its most important model, early next year. The Chinese market cooldown is expected to be temporary and, with Europe also recovering, "the outlook is good," Pieper said. Second-quarter Ebit at the Mercedes-Benz Cars division, which also includes the Smart city-car brand, surged 58 percent to 2.23 billion euros. The Mercedes nameplate is adding four new or revamped SUVs this year, part of the strategy to overtake top-ranked BMW and second-place Audi as the world's top-selling luxury-car maker by the end of the decade. Mercedes’s global six-month deliveries of just under 898,500 vehicles trailed Audi by fewer than 4,000 cars, putting it in range of beating Audi's full-year deliveries for the first time since 2011. BMW, the biggest-selling luxury-car brand since 2005, boosted first-half sales 5.1 percent to more than 932,000 autos. Mercedes was the only one of the top three premium brands to report sales growth in China last month, with a 39 percent surge there in contrast to a 0.1 percent slide at BMW and 5.8 percent drop at Audi. Zetsche reiterated today that Mercedes will sell "significantly" more than 300,000 cars in China this year. Audi has abandoned a target of 600,000 Chinese deliveries after a stock market rout in the country and a government anti-corruption drive sapped demand for luxury vehicles. BMW has scaled back production in the country, and its joint-venture partner there said in mid-July that first-half profit probably plunged 40 percent.